Anyone who plants a garden enlists in a never-ending battle with weeds. Some gardeners take the quick-fix, shotgun approach and blast them with chemicals. In fact, home gardeners spend more than $200 million a year on herbicides. But that's only part of the cost. Chemical herbicides have been implicated in groundwater pollution, soil degradation. and even serious human health problems. In the end, it's a had bargain, because the weeds keep coming back. Bui many enlightened gardeners take a more holistic approach. They say that a weed is just a plant out of place. And, in fact, one person's weed may be another person's flower or even salad green. While one gardener struggles to eliminate violets from a lawn, another will cultivate them in the flower bed, and still others may enjoy their foliage and flowers in salads. That's not to say that every weed has a good side. Or that we have to learn to live with them. 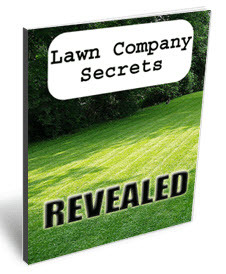 In fact, you can have a weed-free lawn and garden without resorting to dangerous chemicals or spending hours on the back-breaking labor of hoeing or chopping or pulling weeds. In this chapter, you'll find some of the best homemade weed-killing recipes from organic gardeners around the country. But that's not all. You can enlist the power of the sun to burn out weeds. All it takes is a little bit of plastic and a little lime. Or you can elbow them out with cover crops—and we've got a list of some surprising, versatile, and good-looking crops that you can use. And, of course, there's mulch. We've got that covered, too, well beyond the common grass clippings and straw. You'll learn how to manage your mulch materials so that they do a good job of smothering weeds and building the soil, while looking good all through the season. When you put these weed-busting formulas to work in your garden, you'll find that it's not difficult at all to put weeds in their place. Instead of scratching and digging and pulling weeds from sidewalk or driveway cracks, you can use boiling water to eliminate them quickly and safely. Boiling water will kill any plant or seed it touches, says Michigan organic gardener Marion Hess, a special contributor to Prodigy's on-line gardening newsletter, Prodigy Gardens Newsletter. So be careful not to splash any of it on neighboring garden plants or turf. Though this hot bath will destroy weed seeds that are already in the soil, seeds can be blown or carried in again, so Marion always leaves the dead weeds in place to mulch the soil and discourage germination of more weed seeds.